Bean pie, cooking school, and the occasional story of my life. Background on Bean Pie: Oh, What A Tangled Web You Weave! This design, done in Dead Dough for a school project, is the prototype for the (eventual) Happy Owl logo. I established the Happy Owl Baking concept in 2011 to pilot my mission of bringing a more natural, less refined, artisanal baked good to the local wholesale market. In 2012, while still a culinary student, I tested a focused product line in a small gourmet foods venue. I also launched this blog, Bean Pie and Baking, to chronicle my culinary adventures and experiences. 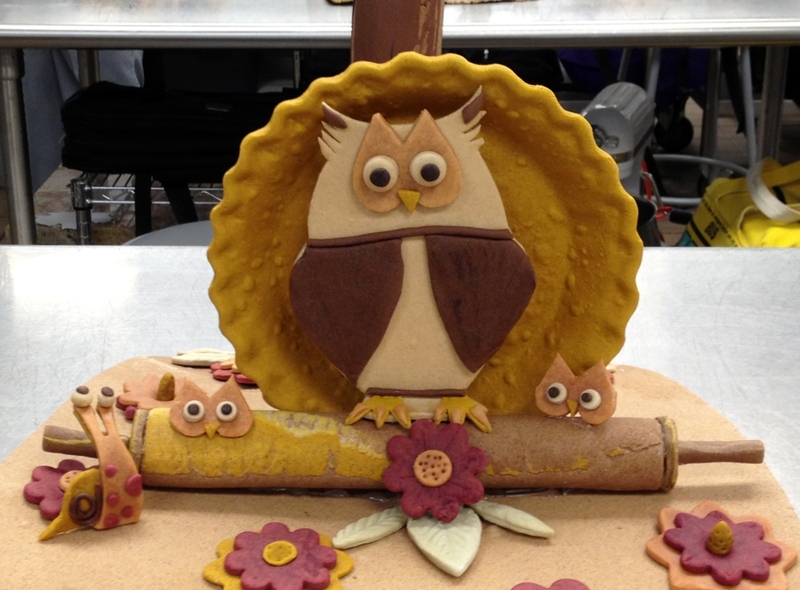 I am currently finalizing the business plan, as the capstone course to completing my Culinary Arts Entrepreneurship certificate, to launch Happy Owl by selling baked goods and confections to retail locations in and around Elk Grove, California. My hope has always been to take my small product line and join together with a variety of other local small-batch producers in a collectively shared retail space. I have long believed in the strength, diversity, and community that collectives can provide. I’m excited to see the possibilities ahead. I think it is a great time to be a small-batch producer since more and more people are interested in and committed to building community by supporting high quality, locally sourced products. Thanks for following, and stay tuned for more Happy Owl adventures! This is too cute for words! When did you post this and how did I miss?!! You know I love the owls. The snail, too! Cute, right? That was from a Dead Dough project last March. All the colors were naturally derived from herbs and spices. You can find a few more pictures of it in the blog post, “The Big Five-O” from March 2013.